So, there are moments when running seems to take over more than usual of my life! 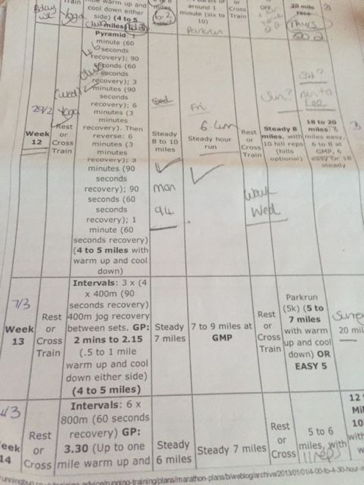 I am currently in week 12 of a 16 week training plan that takes me to the Paris Marathon on 3rd April. 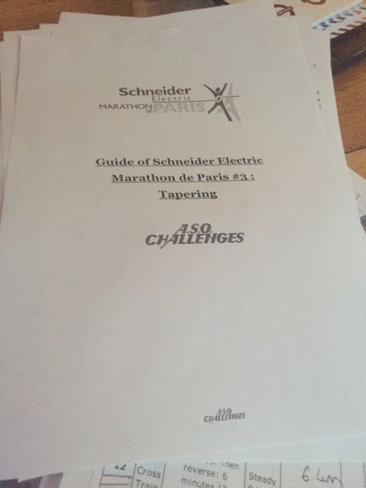 I love marathon running and I love a plan and lists, lots of lists, but, at the moment THE PLAN is dominating all of my lists and am I frankly feeling a bit like ok now jog on and let’s get this marathon done. Sadly, it is not close enough for me to taper and these weeks are all about fine tuning and completing the last of the long runs. So THE PLAN must be followed and things like visiting friends, going out, doing household chores (not worried too much by this one) and looking after my family kind of have to slot in. I ran my long run last week on a Thursday afternoon, which was strange. I have become quite good at running at different times of the day and varying the speeds I do these, this helps my body not get used to one time of day and one speed. On marathon day anything can happen and speeds can vary depending on how many runners are around you, if you are taking on fuel, or have had to visit one of the “toilets” enroute, finger’s crossed that won’t happen. So if you have run at different speeds it should be easy to adapt.